La Nationale Sept or “N7,” was France’s very own Route 66, a mythical road that defined summer for generations of people. The winding path, about 600 miles long, snakes its way from Paris to the Mediterranean coast. It first hits the coast at a small town called Frejus. It was here that Julius Caesar founded the city of‘Forum Julii’ meaning ‘market of Julius’. 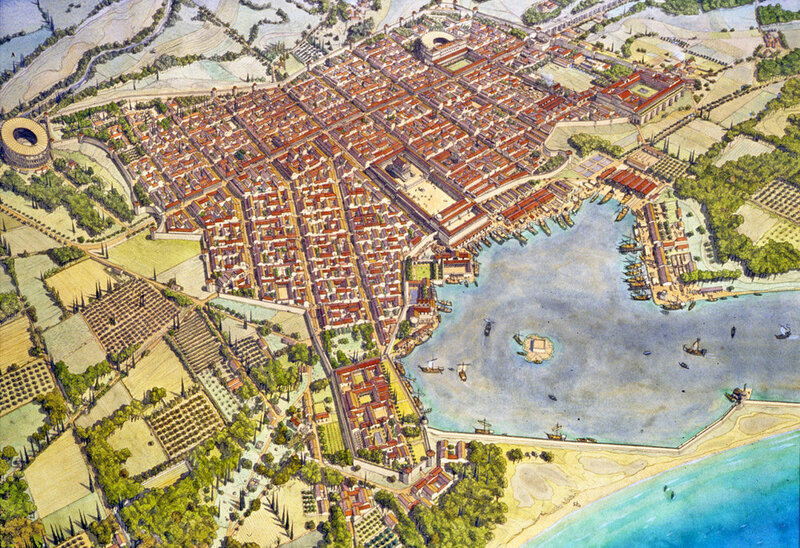 Caesar established Fréjus in 49 BC, naming it "Forum Julii" or Julius' Market. Forum Julii thrived as a major trading post along the Roman Empire's road that stretched from Rome to Arles. It was here that spices such as urfa, aleppo and za’atar were brought Southern France. Chef Sasha Felikson in a partnership with the Cava Team brings you timeless French classics inspired and infused with Levantine spices and ingredients.